A cup of being a gentleman: Whiskey, Whisky, Scotch or Bourbon. A gentleman mindset pushes an individual to achieve and shine every time an opportunity arises. Working hard and accomplishing what others could not, sparks extraordinary feelings that need to be enjoyed and celebrated, which often involves alcohol. One could easily think a gentleman should avoid drinking it, but that’s not the case – there’s no shame in having a sip or two to honor a special occasion. I remember being completely obsessed with the TV series called “Suits” back in the day. I especially admired the sophistication of the main character, Harvey Specter. Being the most notorious and successful lawyer in “the big apple” he truly knew how to celebrate plentiful victories he achieved. Returning to his glass corner office the night after a battle, he would pour himself a bit of the Macallan 18, looking over the city where there was no one who could threaten his throne. A whiskey (or whisky), scotch or bourbon seem to be the choice of many gentleman. First step in drinking it as a gentleman is knowing the difference. Whiskey, a distilled alcoholic beverage, is made from fermented grain mash (barley, corn, rye or wheat) and aged in charred white oak casks, hence the color. If it’s made in the USA or Ireland, it’s spelled whiskey. If it’s produced in Canada, Japan or Scotland, it’s spelled whisky. As if the matters aren’t confusing enough, whisky from Scotland is generally called Scotch and whiskEy made from at least 51% corn is called bourbon. Since all of the beforementioned spirits differ in their taste and aroma, you will have to experiment to find your favorite. When you do, it is likely that none of the others will carry the same emotional value to you, no matter how old or exclusive they are. This spirit will carry memories of moments that define you, as a gentleman. Knowing that, you must be extremely cautious that a night of being sloppy drunk does not add a embarassing memory, ruining the others. 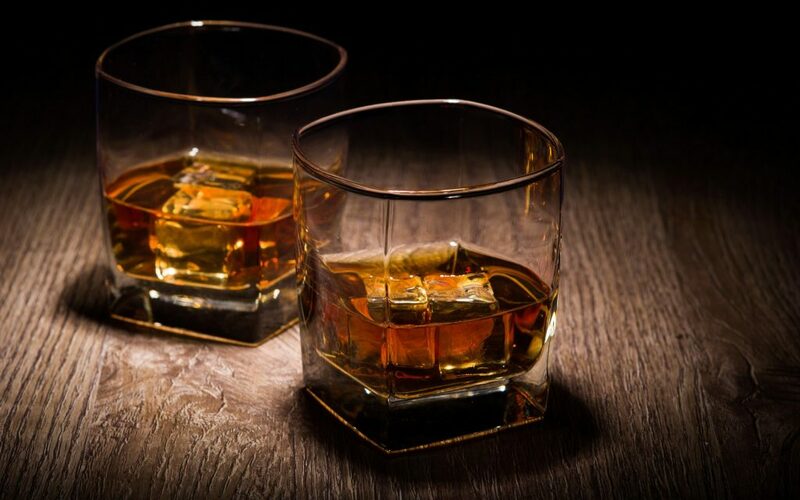 That’s why I am also sharing a list of how to be a responsible drinker, with whom people love to have a glass of “the water of life” – the meaning of word whiskey in Scottish and Irish Gaelic. •	Always know your limit – you are not drinking to get wasted, you are doing it to honor the occasion. •	It’s ok to smell and taste the spirit, just don’t overdo it. Focus on your company, not on your liquor. •	At the bar, stick to your favorite for the whole evening and do not get “peer pressured” into doing shots. They are not something a gentleman does. •	Tip well and never hit on the bartender, no matter how hot they are. •	Always be ready to “call it a night” if you are the last one at the bar. A gentleman would not want to delay someone’s working hours. • Never, I MEAN NEVER, drink and drive.